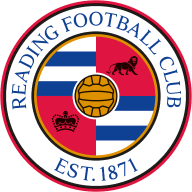 Noel Hunt scored twice to help Reading claim a 3-1 win over Coventry at The Madejski Stadium. 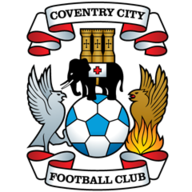 Coventry had gone ahead through Daniel Fox but their lead did not last long as Hunt levelled. Kalifa Cisse then gave the home side the lead before the break and Hunt wrapped up the win just after the hour mark. It was a set-piece which broke the deadlock in the 26th minute. Michael Duberry bundled Clinton Morrison to the floor 25 yards from goal and Fox casually sent a left-footed curler over the wall and right into the top corner of Marcus Hahnemann's net. Another Fox free-kick was well dealt with before the former Walsall defender was unluckily involved in the 32nd-minute equaliser. Liam Rosenior sent in a deep cross from the right and Noel Hunt's tame header hit Fox to loop over the stranded Keiren Westwood and bounce in. Cisse struck in the 37th minute. Rosenior was again involved when he helped the ball down the line to Jimmy Kebe and the winger's cut back into the area was perfect for the arriving Cisse to side-foot past Westwood from the penalty spot. Noel Hunt grabbed his second in the 61st minute when Marcus Hall allowed the striker to steal the ball from him in defence and gratefully prod home his 10th of the season into the open net.